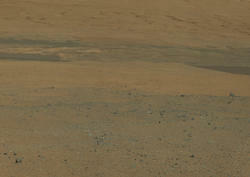 This image from NASA's Curiosity rover looks south of the rover's landing site on Mars towards Mount Sharp. 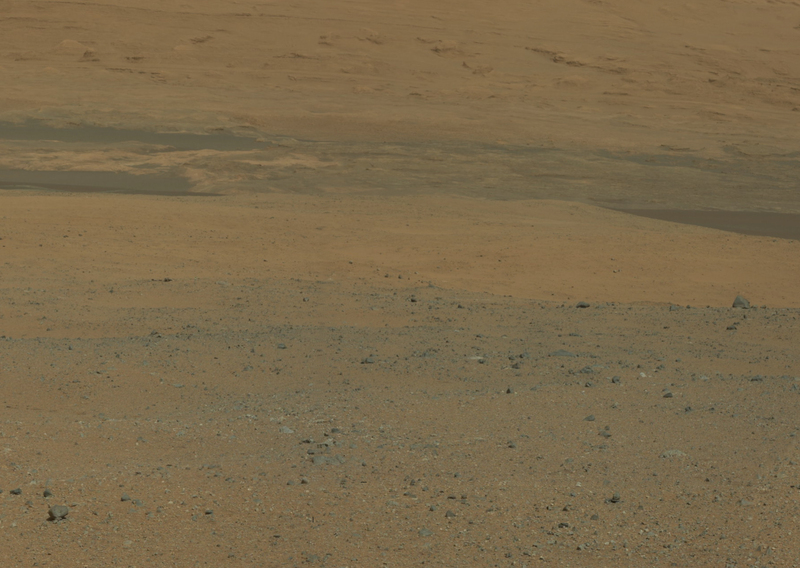 This is part of a larger,high-resolution color mosaic made from images obtained by Curiosity's Mast Camera. In this version of the image, colors have been modified as if the scene were transported to Earth and illuminated by terrestrial sunlight. This processing, called "white balancing," is useful for scientists to be able to recognize and distinguish rocks by color in more familiar lighting. The image provides an overview of the eventual geological targets Curiosity will explore over the next two years, starting with the rock-strewn, gravelly surface close by, and extending towards the dark dunefield. 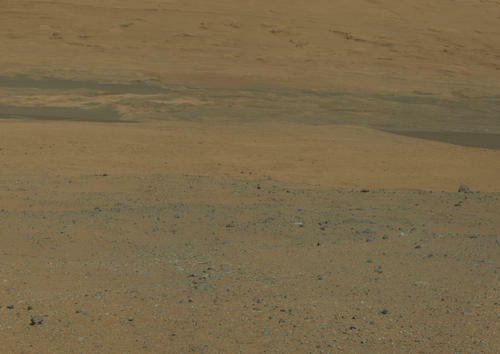 Beyond that lie the layered buttes and mesas of the sedimentary rock of Mount Sharp. The images in this mosaic were acquired by the 34-millimeter Mastcam over about an hour of time on Aug. 8, 2012 PDT (Aug. 9, 2012 EDT), each at 1,200 by 1,200 pixels in size.